Logins this hour: 8827 ? 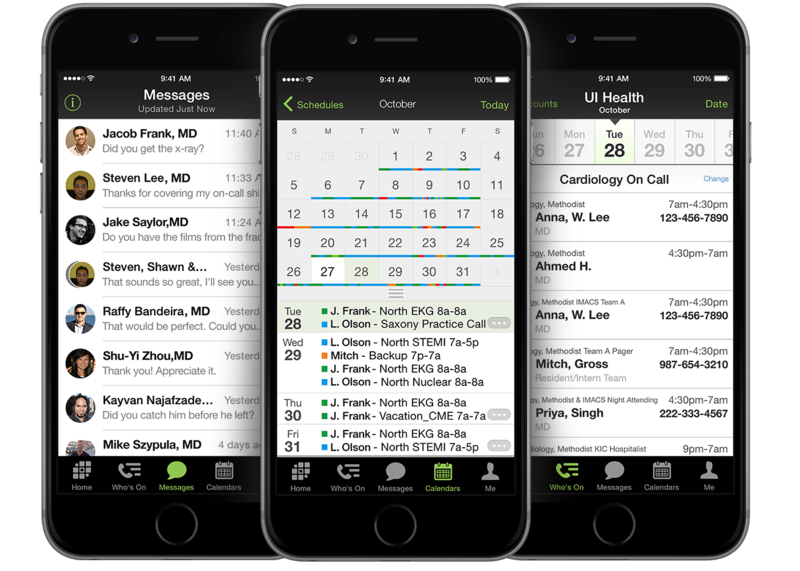 To describe your rotation, services, shifts or clinics in more detail, enter a footnote. The footnote will appear beneath your schedule at Amion.com. Footnotes may contain up to 100 characters, but it's best to the keep the names short. First enable footnotes to appear at Amion.com. Go to File in menu bar, select Preferences, then select Printing. 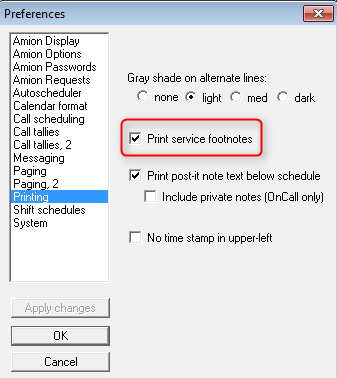 Check the box, "Print service footnotes" and click "OK."
Select a shift or service name on far left side of your daily schedule grid, or a rotation name in the block schedule, or clinic name in the clinic schedule. In the infobox window, you'll see the name of the service or clinic in an edit field at the top upper-left corner. Just to the right of that, you'll see a wider edit field. Mouse over it to read a pop-up message that says, "Footnote for printout." 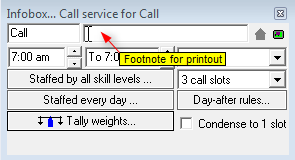 Type your footnote text in the footnote edit field.